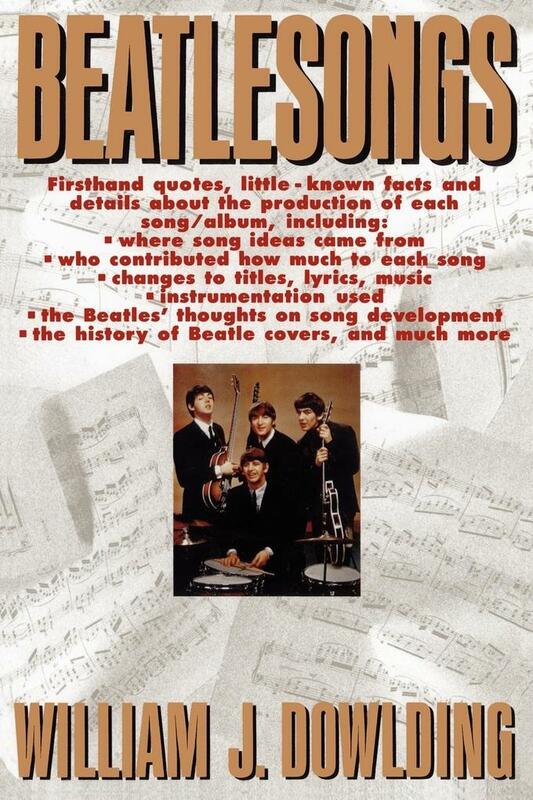 A complete and fascinating chronicle of Beatles music and history, "Beatlesongs" details the growth, evolution, and dissolution of the most influential group of out time. Drawing together information from sources that include interviews, insider accounts, magazines, and news wire services, this is a complete profile of every Beatles song ever written -- from recording details such as who played which instruments and sang what harmonies to how each song fared on the charts and how other musicians and critics felt about it. Chronologically arranged by U.K. release date, "Beatlesongs" nails down dates, places, participants, and other intriguing facts in a truly remarkable portrait of the Liverpudlian legends. Behind each song is a story -- like Paul's criticism of George's guitar playing during the "Rubber Soul" sessions, John's acid trip during the "Sgt. Pepper's" session, and the selection process for the "Revolver" album cover. And carefully examined along the way are the Beatles' evolving musical talents, their stormy private lives, and their successful -- and unsuccessful -- collaborations. "Beatlesongs" is truly an inside look at the Fab Four and a treasure for all their fans.